An unpublished book written by an unnamed Reuter's reporter detailed that Philippine journalists and foreign correspondents are being paid in fat envelopes of cash for writing stories that discredit President Rodrigo Duterte's illegal drug war. In a repost by netizen Dan Jimenez of an article written by Dimasalang, Mulawin, and Judea, it revealed that anti-Duterte stories generate up $50,000 per story. The whistle blower journalist confessed that he could not live with the lies and the deceit anymore and that truth which he had sworn to uphold became the first casualty in Duterte's war on drugs, explained in the article. Various news organizations are dipping like crazy into the pot because of the loads of cash being handed out to demonize Duterte. One of the reasons for this need of cash is the threat that social media is posing against traditional media whereby income has become slim because people go online for their news. Asked who are the financiers in the effort to discredit the war on drugs, he categorically stated, those who will profit from its failure, the article said. Efforts to oust Duterte become more evident with those who will profit from its [Duterte] failure banking on the drug killings to mar Duterte's image. 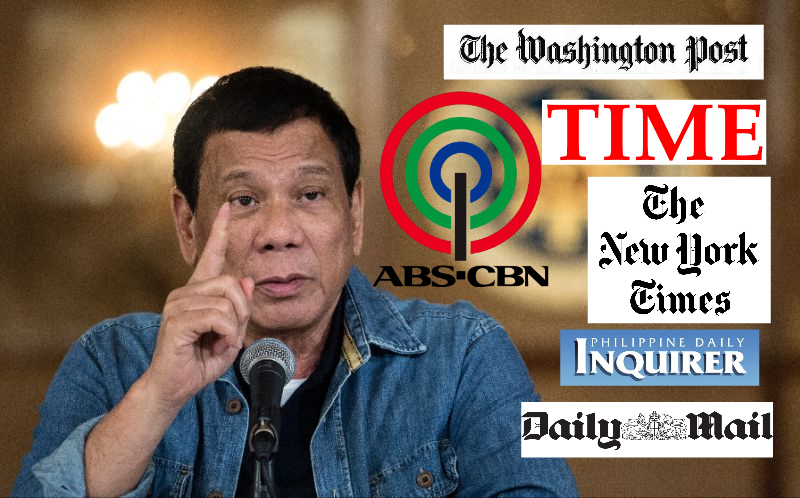 The identified news organizations accepting payola are Reuters, Time Magazine, The Washington Post, The New York Times, The Daily Mail, The Inquirer and ABS-CBN. Comments from the identified media companies have not been given yet as of posting time. Philippine Journalists and foreign correspondents have received cash payments for making up stories and reporting unsubstantiated claims to discredit Duterte's war on drugs. Detailed in a yet unpublished book written by an unnamed Reuters' reporter, payments in fat envelopes were delivered almost like clockwork to those who wrote the most outrageous claims. False stories that are picked up by main media outlets and syndicated shows mete the most money to the tune of $50,000 per story at least. The whistle blower journalist confessed that he could not live with the lies and the deceit anymore and that truth which he had sworn to uphold became the first casualty in Duterte's war on drugs. How prevalent is the payola? Our unnamed source confirmed that there are a lot more money to be had and that news organizations are dipping like crazy into the pot. He cited the competition provided by social media as one of traditional media's killer, thus the impetus to look for another source of income. Asked who are the financiers in the effort to discredit the war on drugs, he categorically stated, those who will profit from its failure. And that the drug killings attributed to Duterte are the best arguments to oust him whether such can be proven or not. Asked to name the news organizations involved in the orchestrated move to discredit the drug war, he cited Reuters, Time Magazine, The Washington Post, The New York Times, The Daily Mail, The Inquirer and ABS-CBN. Attempts to get reactions from the said media outlets remain unanswered as of this writing."